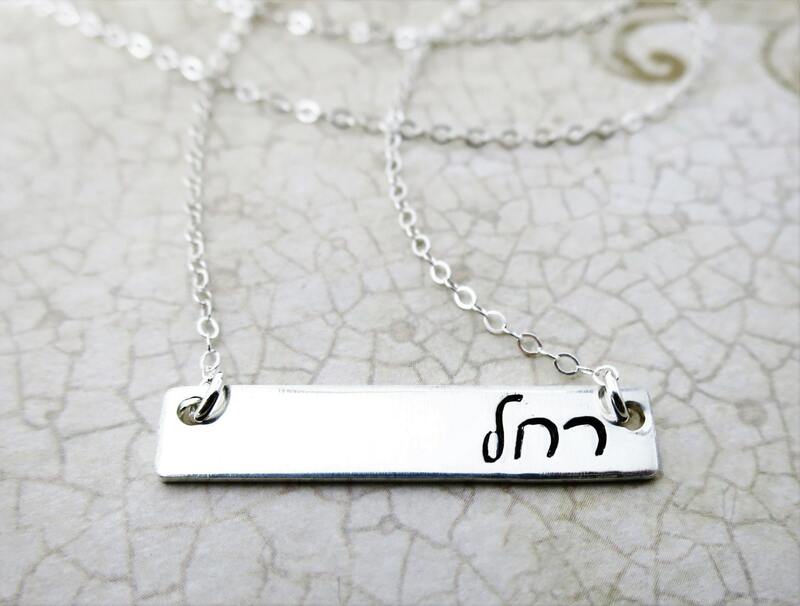 This sterling silver bar necklace will be hand stamped with the name of your choice in my script Hebrew Yael font. Text will be right justified, unless otherwise specified. 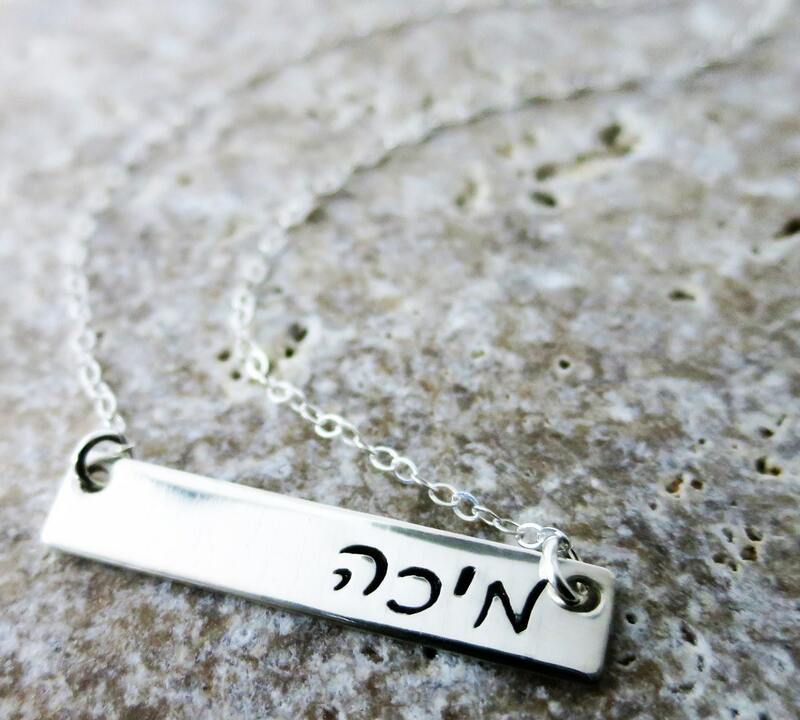 Please specify the name you would like hand stamped in the "Note to seller" space at purchase. Bar measures 1/4" x 1 1/4" and is an 18 gauge thick sterling silver. Choose from 16", 18" or 20" length. 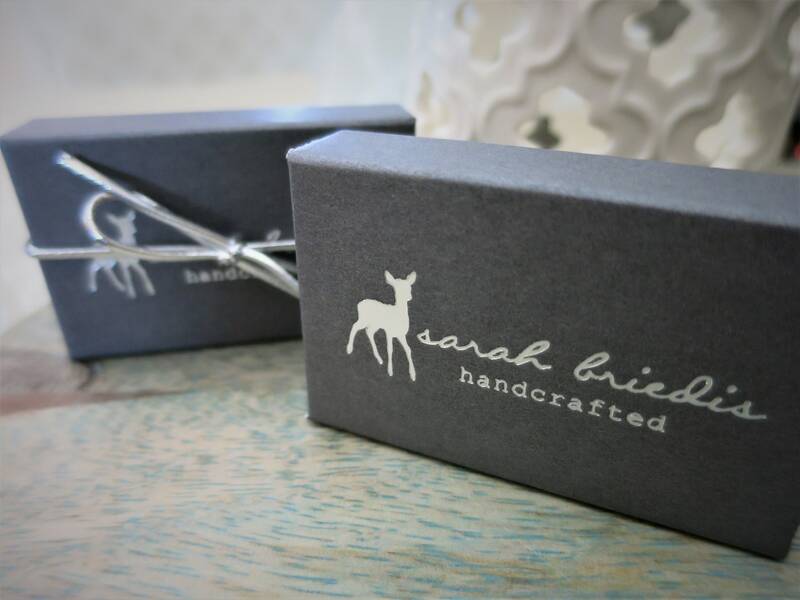 Chain is a delicate sterling silver cable type. Bar will be ink darkened for contrast and polished to a high shine. Great for layering! 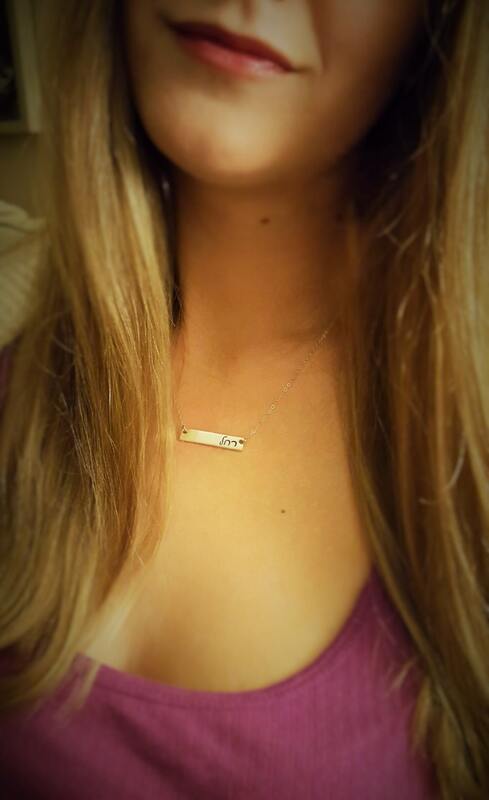 And, perfect for everyday wear. 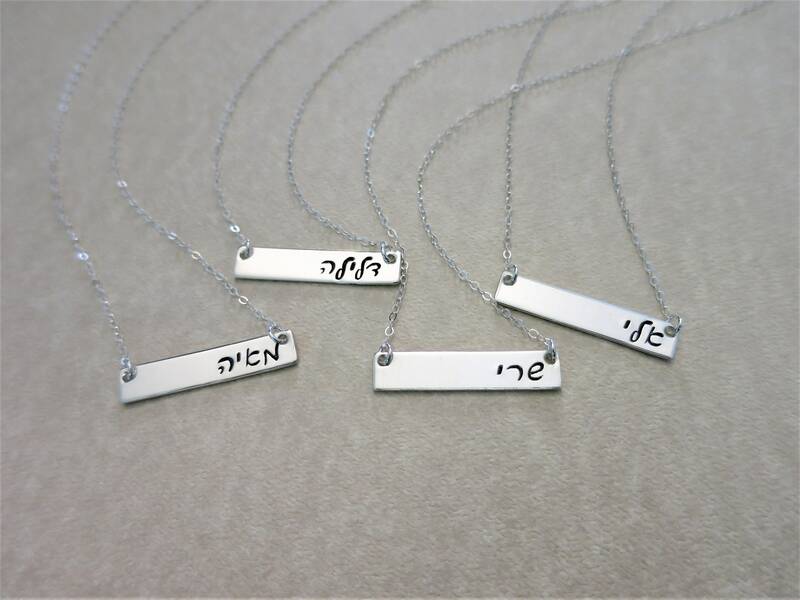 I am so excited to offer my new, original line of hand-stamped cursive Hebrew pieces! The font shown is one of my newest. It is called "Yael." My other new font is shown in the 4th picture on the bottom line and is called "Miriam." While the Yael font is sophisticated and more delicate, similar to a Monotype Corsiva, Miriam is reminiscent of the English "Comic Sans." Yael measures 2.5mm and Miriam measures 3mm. These fonts are approximately the same size as my standard block Hebrew font. My Tiny block Hebrew font measures 1.5mm (for reference).